Notes: I was part of the BarCampLondon8 crew this weekend. I spent quite a lot of time staffing reception during the afternoon, where we had to check people in and out of the building. 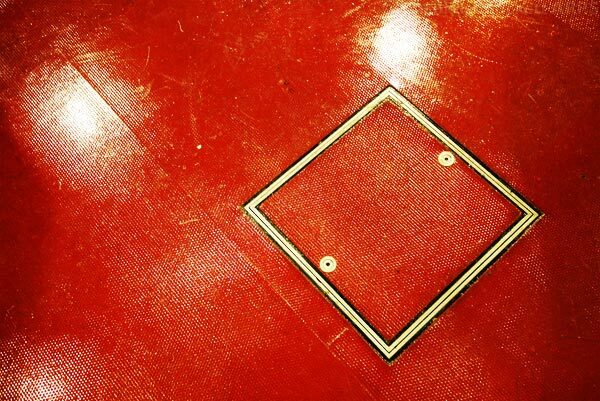 In an idle moment, I spotted the abstract potential of a trapdoor in the floor near the desk.